It hit home for teenager Heidi Wright to discover that the fallen soldiers of Valour Road came from her hometown of Winnipeg. 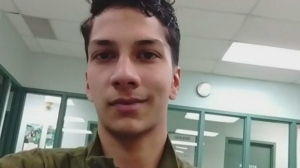 The 15-year-old student at Winnipeg’s Technical Vocational High School decided to pay homage to them by composing a special tribute song ahead of Remembrance Day. “I was inspired by all the heroic actions that they did because they put other people’s lives before theirs and I just thought that was so touching and heroic,” she told CTV News Channel Thursday. The song is about three soldiers who fought in the First World War and all happened to live on the same block in the city. Only one of the three soldiers ended up coming home; the other two died overseas. Pine Street in Winnipeg’s east end, where the three boys all grew up, was renamed Valour Road in their honour in 1925. Her song “The Boys of Valour Road,” which be found online, draws upon the theme of colours, she said. For their service, Cpl. Leo Clarke, Sgt-Major Frederick William Hall and Lt. Robert Shankland all earned the Victoria Cross — the highest military honour in the British Empire. Throughout the medal's 156-year history, only 96 of them were awarded to Canadians. One of her favourite lyrics describes how “we don’t have the words to represent” the courage of soldiers of Valour Road: They had colours deep inside for which we have no names, these colours and their courage are one in the same. The teenager first heard of the three highly decorated soldiers when she and her mom drove past a large mural dedicated to the trio of Victoria Cross recipients. 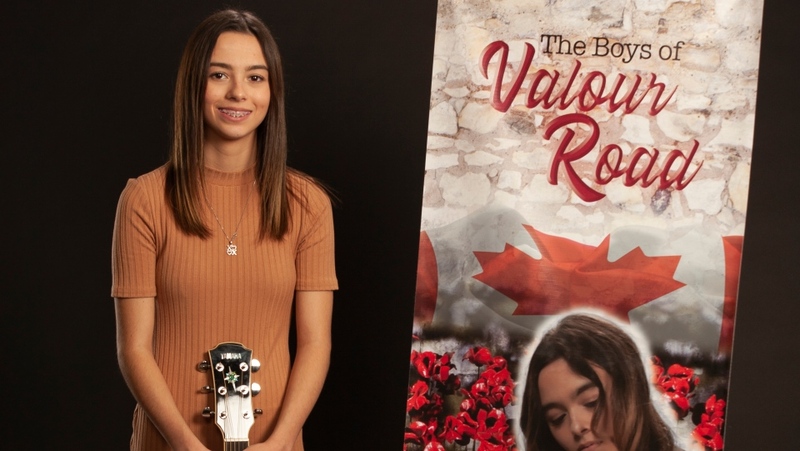 “I went home and started researching because I was just interested about the picture and I thought, ‘Wow, it could be a cool song for Remembrance Day,’” she said. Wright added “it hit home” when she learned that the soldiers were from her hometown. “They lived where I live and they fought and gave it their all and I think it just means a lot for everyone in Winnipeg,” she said. She’s set to play the song at her high school on Friday for its Remembrance Day ceremonies. I was hanging on a wire, holding back a deep desire, to express myself in no uncertain way! They whispered to their mothers, their fathers, and their brothers, to their sisters they'd be back one day. These colours and their courage are one in the same. Crawled beneath barbed wire, refusing to unravel with the fray! Three brave souls rose one day. And remember them in no uncertain way!"